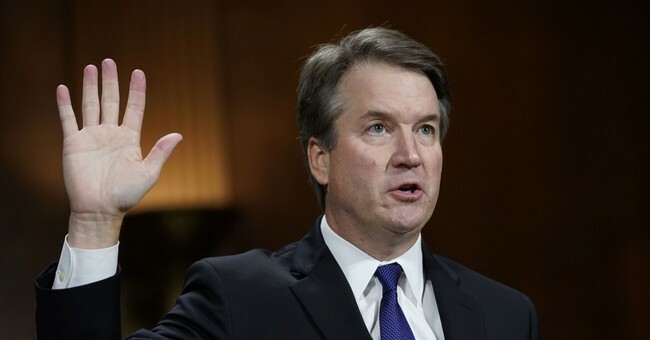 If the FBI finds no corroboration of the charges, 60 percent believe that Kavanaugh should then be confirmed, according to a weekend Harvard CAPS/Harris poll...Sen. Jeff Flake (R-Ariz.), feeling rather directly the corrosive split within the nation, has the support of the country in insisting upon a brief and limited FBI investigation before the final vote. Sixty-six percent of Americans support that decision, and that includes 80 percent of Democrats, 69 percent of independents but only 45 percent of Republicans...the credibility of their testimony does not appear to be the decisive factor. Rather, the question comes down to corroboration as the standard for tipping public opinion on whether Kavanaugh should ascend to the high court. In terms of the overall needle, after the testimony was heard, 37 percent say confirm the nomination, 44 percent say reject it, and 18 percent remain undecided, with Democrats going one way and Republicans the other. But once the voters are told that the named witnesses deny any knowledge of the allegation, this shifts to 57 percent who favor confirmation — and that goes up to 60 percent, if the FBI agrees there is no corroboration. A survey conducted after last week's hearings by a conservative pollster found that Manchin's constituents favor Kavanaugh's confirmation by a lopsided 30-point margin.